This season we’re seeing a lot of medium length hair that is textured and wavy. Yes, curly hair will be all the rage this summer. It works in harmony if you have naturally wavy hair, but it is still possible to get great waves if you have naturally straight hair – we can give you some easy tips in the salon, but we’ve written some out for you below! Strict buns and ponytails are still big on the runway! Perfect for your chic-sleek look. 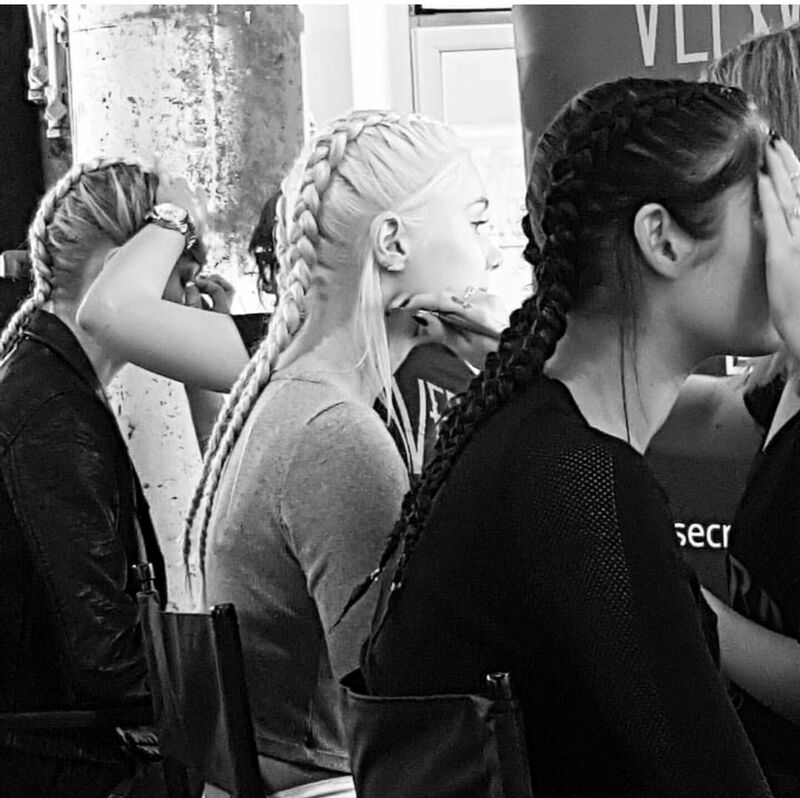 Braids are still very much on-trend. Fringes are bold, short, curly, and especially wavy. Bobs are still HOT! Short and mid–length, textured, soft waves. Our first tip to get great wavy curls is to always use a heat protector. We personally use and recommend ‘Redken Pillow Proof ‘or ‘Iron Shape’ – it gives a wonderful result. Lightly mist all over before drying off on a medium heat. Take random size sections working from underneath first and wrap around a curling wand (We personally use and recommend Cloud Nine Curling Wands only – they get a perfect curl). Wrap the hair along the mid-lengths of the hair and leave the ends out for an on-trend wave – that’s not curled right to the ends of the hair. Leave to cool and gently brush through before shaking out with your fingers. Hair colour truly makes your style and shape and can bring out the best in you, your skin tone, and your eye colour. 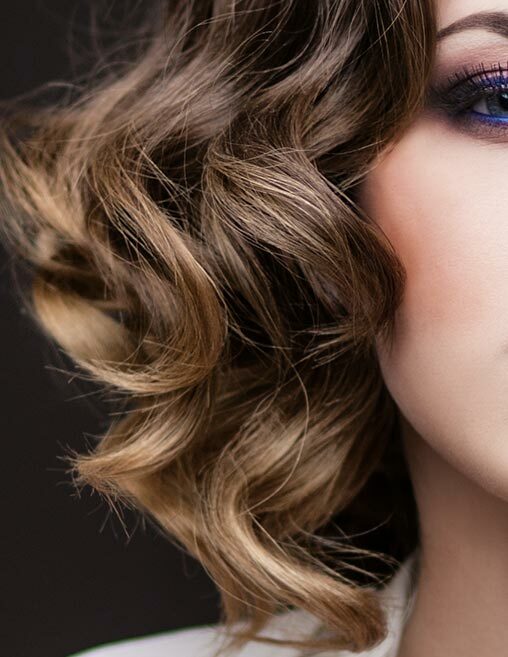 Hair contouring is a technique we use in Orb that can either accentuate or soften your face shape. So, what’s happening with hair colour this season? This season’s hair is lighter – beautiful hair colours that enhance your natural hair colour. We’re seeing cool blonde hair colour tones overlapped with warm blonde tones – now this is summers hottest colour! Icy cool blonde is still on trend for shorter hair, where both gold and cool tones of blondes are overlapped to give your hair dimension and texture. We will see a decline of rainbow hair this season, but instead you’ll see some subtle touches of pastel tones to give a light natural finish from mid length to ends. You can even combine this with creating a flattering ‘Gem shade’ with darker hair for a summer hair colour sensation! 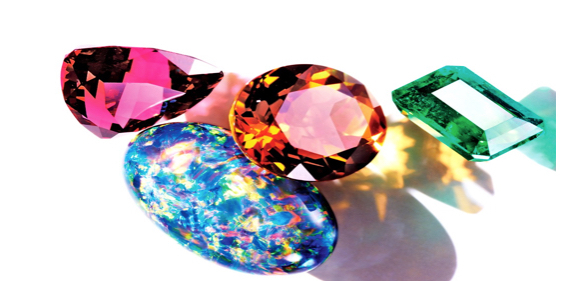 Gem tones are cool – they have an iridescent quality which is part of the reason for layering semi colour with permanent colour. It gives it that metallic, iridescent effect that’s still rich. Doing a bright emerald on dark hair is achievable. It is not necessary to lift a lot of pigment out of the hair, yet they still feel blonde and fun and bright. The idea of deep emerald, ruby, and topaz as hair colours on medium length wavy textured hair are about to change our lives for the best. Always use the best shampoo rec by your hairdresser – it will gently cleanse and protect your precious colour. Try not to shampoo within 48 hrs of colouring so colour can settle. Only use hairdryers and hot tools on low or medium settings – appliances that are too hot will fade colour too. Make sure your hairdresser is using a post colour treatment after every colour to lock it in and seal the cuticle. Follow on by always doing a once a week treatment at home. Protect your hair with leave in spray or cream treatments – a lot of them have UV filters …..our absolute favorites are Redken and Pureology. Every hair texture will require a different treatment so speak to your hairdresser. Swimming in pools and surf will fade your hair colour – you will need to protect your hair with leave in treatments, and always shampoo salt water and pool water out of your hair as soon as possible.